If you're a fan of lit RPGs, then you don't need to read any further. This is one of the best. For those who are not, well, all I can say is use this book as your jumping in point. It doesn't take itself too seriously, and the mechanics are in-depth and intetesting while also not taking away from the plot. Please do yourself (and the author, who is independently publushed) a favor and pick this book up. 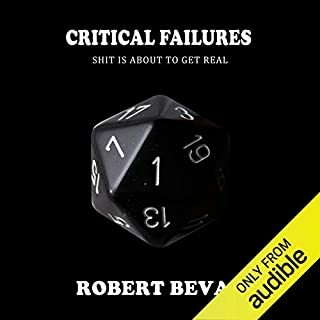 I purchased this audiobook after listening to both &quot;The Stone Man&quot; and &quot;Kill Someone,&quot; so I guess you could say I'm late to the Smitherd party. The other reason I point this out is because those books were read by a different narrator, and not the author. Having listened to both, I can't really say if I prefer one or the other. But I did have my doubts about Smitherd as a narrator in the beginning. 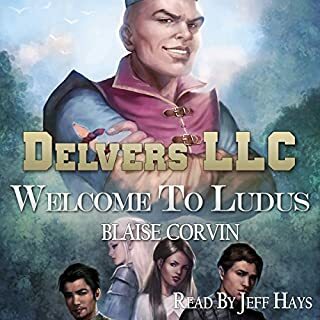 So, you might wonder why I had an issue with Smitherd as a narrator, well let me tell you what turned me off to him at first and what kept me listening later. Smitherd was probably a novice to narrating prior to reading this book, so at the beginning he emphasizes weird words and reads a bit too fast. His voices were pretty alright, though. Later on, as the chapters progressed, he got a whole lot better. His inflections were spot on, and his knowledge of the story lent more believability to the book, as a whole. The story, itself is thrilling, magical, beautiful, dark, mysterious, and down-right good. 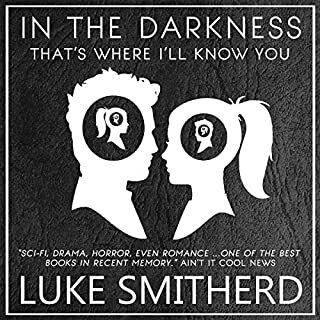 If the summary tickles your fancy and this review makes you think you'll love Smitherd as a narrator, I recommend you buy it and have a listen. You won't be disappointed. You ever have that feeling like people are staring at you? I have. And it's all because of this audiobook! I got to laughing so hard, at times, that people around me stared like I was some kind of crazy person.